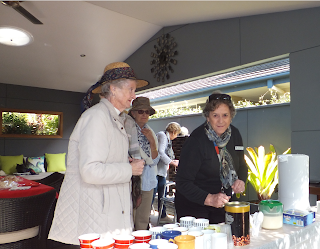 Coffs Harbour Garden Club: Welcome Guyra Garden Club! 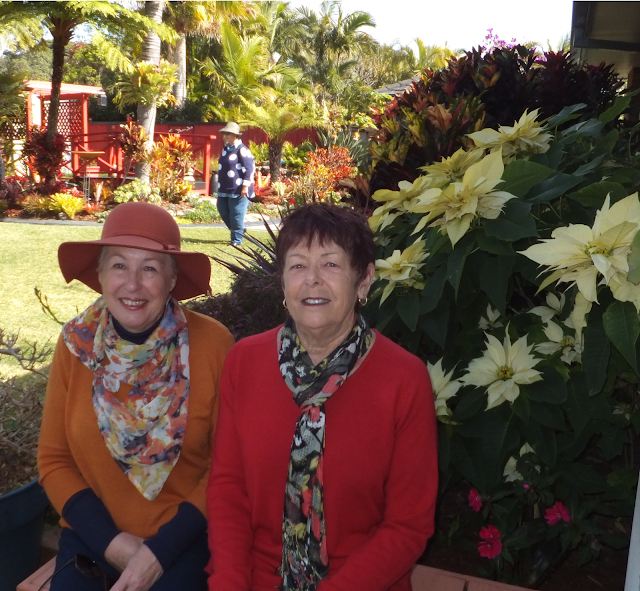 Over the last two days Guyra Garden Club have visited the Coffs Coast to sample some local gardens. Guyra is situated between Armidale (38kms south) and Glen Innes (60kms north) on the Northern Tablelands in the New England region. It may be a small community however NOT their Garden Club! Currently there are over 120 members and these members are drawn from Glen Innes and Deepwater to the north, Armidale to the south. Ebor and even Dorrigo to the south east, so it has to be said that these members are not afraid to spend time in their vehicles. Their meetings are always held in a garden each month - either a member's or otherwise, so they are constantly on the move and see some wonderful gardens throughout the year. The climate is a little different to ours here on the Coffs Coast with most temperate climate plants doing quite well. For instance McKie Park which was created and continues to be maintained by the club has beautiful white flowering crab-apple trees, a club member mentioned today. She said that these were planted in memory of the founding President, Noeline Miller who was the Garden Club's first President in 1986. 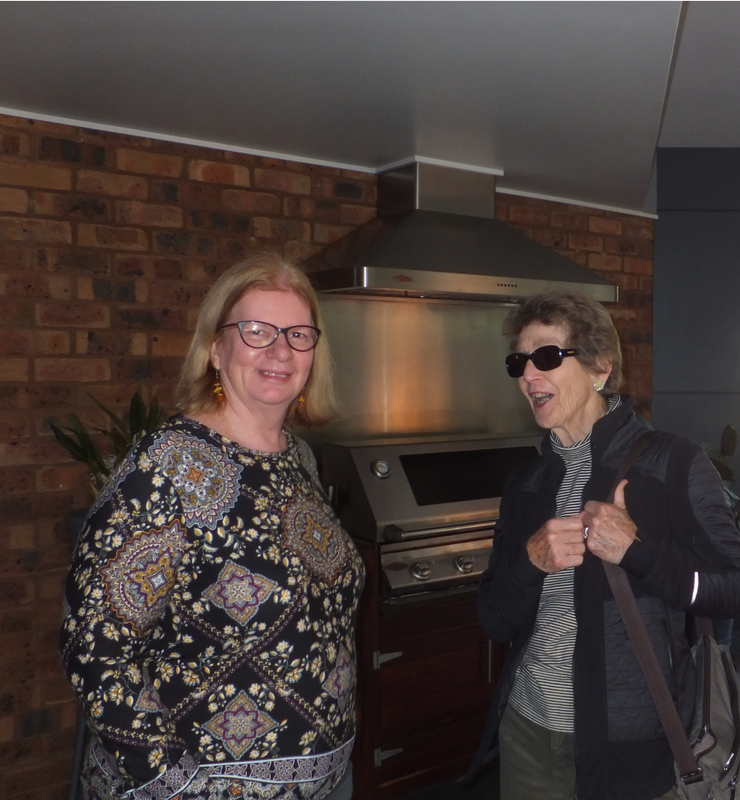 The Garden Clubs of Australia motto of 'Friendship through Gardens' certainly describes how gardeners interact and this was evident today. At first acquaintance there was easy conversation. 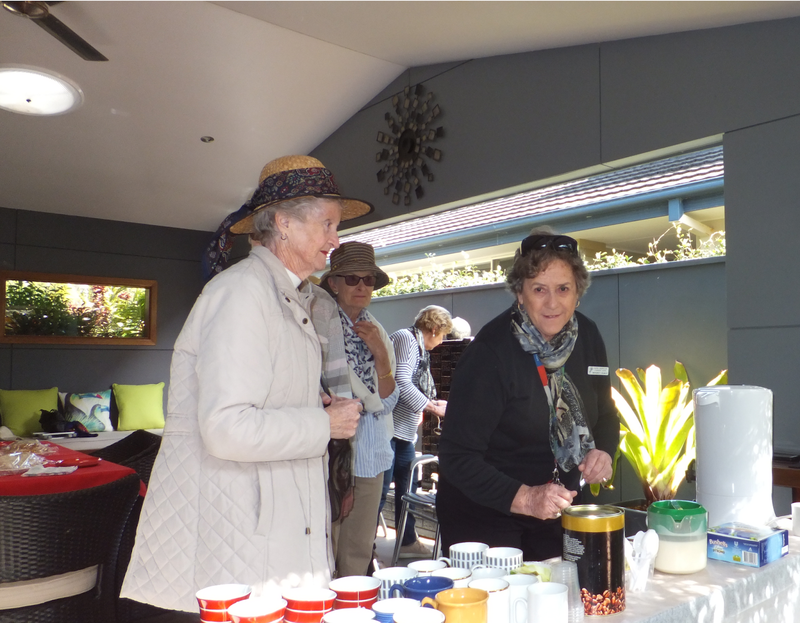 The Catering Team of Anne-Maree (sweet treats) and Margaret (yummy sandwiches) were most welcome at the Tarry garden today. Gaye and Bob were most welcoming and generous in opening their garden to the visitors. I'm not sure if you recall but Guyra became the focus of national attention in February 1960 when a four-year-old boy named Steven Walls wandered off from his father on a property to the north of town. Hundreds of volunteers searched the bush for the boy until he was discovered four days later asleep against a log. His first words were 'Where's my daddy, where's my daddy?' which gave rise to a song by singer Johnny Ashcroft, entitled 'Little Boy Lost'. The Guyra folk headed off to Middle Boambee to look at a further two gardens, thank you to the gardeners who opened up their gardens for the visitors from the Northern Tablelands.